Meridian Organic Dark Tahini has a subtly nuttier flavour than traditional light tahini paste as it is made from unhulled sesame seeds. Vegan-friendly and free from gluten and sugar, it is a great addition to houmous recipes, as a mezze dip, or a butter alternative. Organic roasted Whole Sesame Seeds (100%). Not suitable for other nut, peanut, or sesame allergy sufferers. The Meridian Organic Dark Tahini 270g product ethics are indicated below. To learn more about these product ethics and to see related products, follow the links below. We use this and enjoy it daily. You sell it at a good price - thanks! Delicious sesame seeds butter, it can be used spread on a slice of bread, to make humus or can be added to home made smoothies. 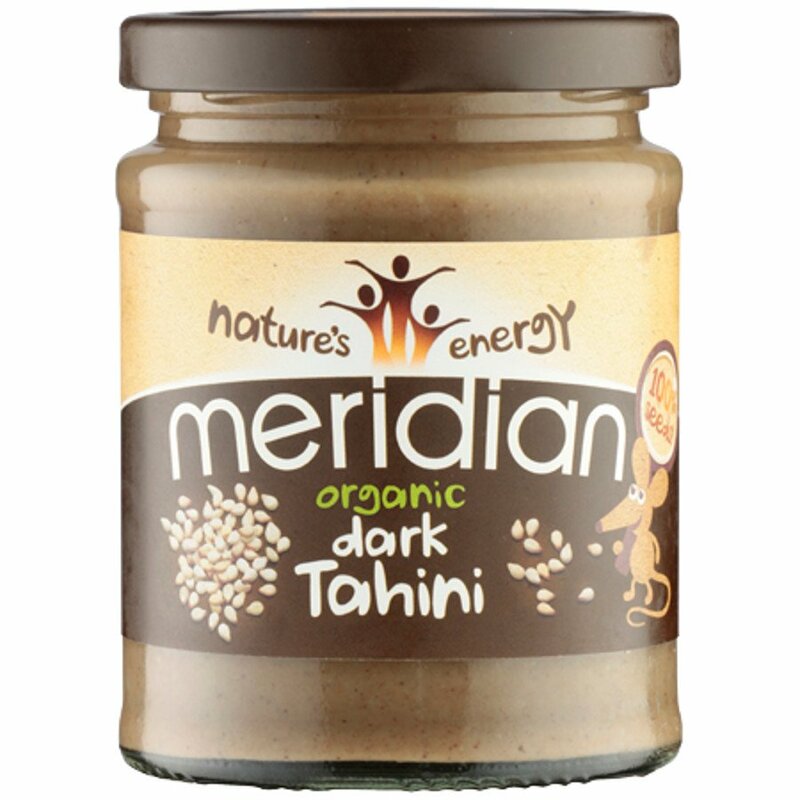 There are currently no questions to display about Meridian Organic Dark Tahini 270g.